Through our integrated and proprietary suite of products, our team provides tools that empower any organization, regardless of size or industry, to reach its maximum potential. Software solution that directly links employee performance to organizational values and strategies. This software suite fully integrates job descriptions, job evaluations, and recruitment tools into performance management guidance and succession planning. 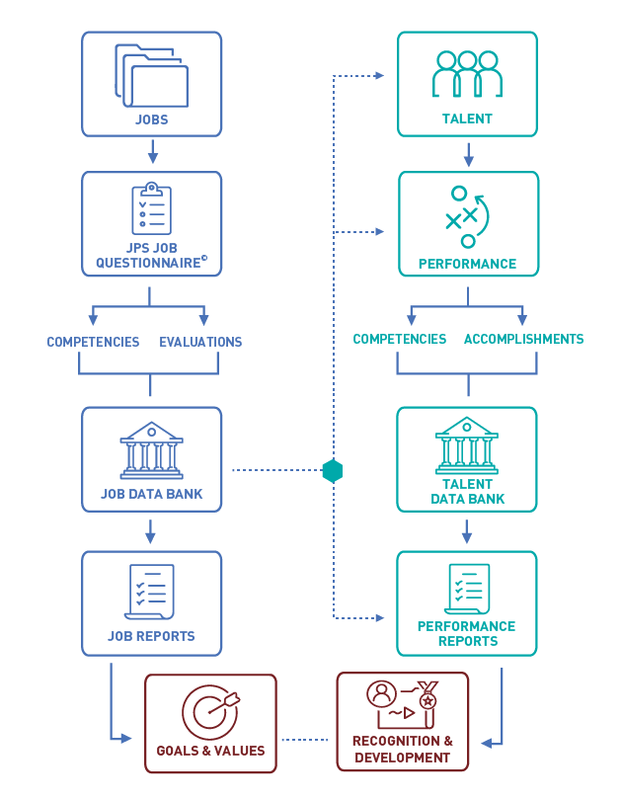 Data-driven technology aligns jobs to organizational values and strategies based on key factors and critical competencies. Get the assistance your organization needs to realize the full potential of enCompassing Visions. Successfully supporting the unique requirements of a broad range of organizations. Do you need foundational processes that will grow and expand with your organization? A dynamic software development organization initiated baseline job and talent processes that would be easy to use and maintain and would develop alongside their dramatic growth curve. Is your organization facing a merger or needing to integrate HR processes? A large and rapidly growing municipality established a meaningful and relevant talent management process that would secure buy-in from its managers and employees and increase review completions rates. Are your managers and staff buying-in to your employee review processes? A health care region found support in merging five job evaluation systems and five unique organizational cultures into a single, cohesive entity. Is it time to update job descriptions and get pay equity compliant? A manufacturer with 700+ employees replaced its outdated system to simplify its processes, streamline the number of jobs, establish salary grades and ensure pay equity.